It’s an extreme art attack! Pick up pencils, crayons and pens in this creative version of the classic Pick-Up sticks! 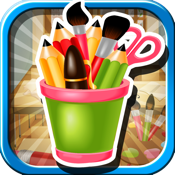 Crazy Art Attack – An Awesome Color Pick-up Games for Kids is the exciting and truly challenging pick-up sticks game that lets you have fun while using your brain and eyes in clearing off all the jumbled art materials. Pens, crayons and pencils will be in a mixed-up heap. It is up to you to clear them off one at a time! Your goal is to pick up all the art sticks. Pick each stick one by one without touching the other sticks. Once you touch the others, you are eliminated! Can you clear all the art sticks and make it to the end? 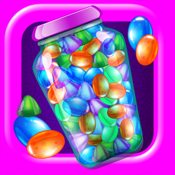 The super addicting Crazy Art Attack – An Awesome Color Pick – Up Game for Kids is now available for iPad, iPhone and iPod touch.